The report uses logic model frameworks to convey relationships between essential levers (outcomes, drivers and mediating factors) that inform the design of competency-based education systems and critical components of competency-based practice at four interdependent levels (student experience, professional practice of educators, district and school systems and culture). Logic models are tools used to conceptualize organizations, programs or strategies to bring about change and to support the evaluation of effectiveness. The Finnish example is, of course, no blueprint. Finland has begun to place greater emphasis on entrepreneurship, including incorporating entrepreneurship education into the TVET curriculum. Developing countries also need to address structural issues that impede youth employment. Education and vocational education have to be finally presented in an operational form i.e. in a curriculum. In any case, when it comes to Technical Education and Vocational Training (TVET), five components are highly relevant as the pillars for a vocational system: Relationship with the private sector, Curricula and occupational standards, Teacher training and further (in-service) training of teaching staff, Conducting research and networking with other institutions, Positive values and esteem for work and for training. These five pillars render the structure when it comes to quality-based training and education. This discussion paper concerns recent trends and major challenges in developing effective and trustworthy representation of skills, competencies and qualifications. It starts with the recognition that today’s learning opportunities are limitless, borderless and immediate. It proposes a vision to reach a common international approach where all aspects of a person’s learning is electronically documented, authenticated and can be accessed at anytime and anywhere, shared and amended by the owner or by an authorised party. This report presents a short summary of the International Labour Organization’s (ILO’s) Global Dialogue on “The Future of Work We Want”, which brought together leading economists, academics and representatives from governments and social partners (employers’ and workers’ organizations) to discuss the profound changes sweeping through the world of work. The bilingual CVA/ACFP Journal was published by the association from 1965 to 2002. The CVA Journal was produced under the direction of a bilingual editorial committee and a professional editor and was supported for a number of years by the federal government. In its final years, it was financed solely by the association. It was the only national bilingual journal produced to support best practice and research in the field of vocational education and acted also as a forum for a wide variety of emerging issues in the field. It is still used as a reference today with many libraries holding complete sets of all CVA journals ever produced. The entire collection can be read in our web page. The CVA also publishes occasional papers to provide a forum for a broad spectrum of vocational education issues emanating principally from Canada. The views expressed do not necessarily represent the views of the Association. Each paper is usually intended to provide an in depth treatment of a specific topic. The occasional papers have been generated to encourage discussion on an emerging issue and to document either national or regional achievements. 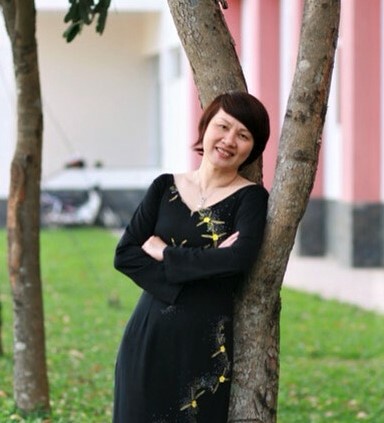 Nguyễn Thanh Thuỷ is the Deputy of the Training Centre for Advanced Management at the Vietnam National University, Ho Chi Minh City, which is funded by the Vietnam Skill for Employment Project of Global Affairs Canada (VSEP/GAC). Using a TVET institution as the setting, Robert Chiwamba, STEP ambassador has launched Taima (Here We Stand) to call on all of Malawi to end gender based violence. The poem Taima (Here We Stand) calls on all people to take a stand against Gender-Based Violence (GBV) and particularly for men to be role models as advocates for the elimination of GBV. The poem launch was one of the many important activities to mark 16 days of activism against gender based violence. The video is in the local language Chichewa but with English sub-titles.